The text is written by Laura Beloff in May 2018 based on memories from the time (2007-2010) and few registered facts. The text has been further commented, corrected and edited by Anu Osva. This is our contribution to the 10-year Anniversary of the Bioart Society in Finland. Typically, successful things happen when there exists momentum for them. A dictionary defines momentum as “strength or force gained by motion or by a series of events”. Even if the official definition of momentum is related to physics, it is often the case also for other things in life – such as initiating something new for a specific context. This is also true for the birth of the Finnish Bioart Society. It is challenging to look back to the time when the Bioart Society was established in Finland; not only to recall how it happened but also to enquire into why it seemed like an idea worth pursuing. What kinds of interests were visibly in the air at the time and what types of related events took place? This is a short story about the first years of bringing the Society to its existence as I remember it. I should note that it is entirely possible that in recollecting the past, some of the facts may have shifted place in the timeline and others may be missing. This is the way it is stored in my memory – it all started when I was sitting in our living room in Spain sometime in 2007 when a friend, Anu Osva, called me from Finland and said that there appeared to be interest in opening up access for artists at the Kilpisjärvi Biological Station, which is owned by the Helsinki University and up to that point it had primarily hosted natural scientists conducting fieldwork. During this phone call, it was discussed that we should have an organization which could foster such possibilities – something which we had briefly touched upon previous discussions. I am sure there had been several other events which had taken place in Finland prior to this phone call, which may also have acted as catalysts, however this is how I remember the moment that the concrete idea about the not-yet-existing Finnish Bioart Society entered my consciousness. What had already taken place prior to this phone call are three conditions or events that had an impact on the developments that were about to unfold. Firstly, I had been working in the field of experimental arts already since the 1990’s and had been investigating and testing the dividing line between art & technology & science. At some point, I found myself in the midst of other artists and researchers in Europe interested in similar questions and issues, and with shared interests towards bioart developments. Likewise, Anu Osva had developed a clear connection and interests towards the field of art & science. Although she had chosen to take on a work as an artist, she had a previous 10-year career as a scientist working with genetics. This is visible in her artistic practice, painting, in which science has been present as subject matter and conceptual background since the year 2000. Secondly, in the late fall 2007 both of us attended the Mutamorphosis-conference in Prague, which had a great impact on both of us. Mutamorphosis was a major conference in Europe during the first decade of the 21st century, which focused on the emerging interests for art & science and bioart field in Europe. It is important to note here that these interests were re-emerging and in fact, there has been a clear trajectory of developments in the arts globally since the 1960’s that have explored art & science & technology cross-overs. One of the speakers at the conference was Roger Malina, who has been a long-term proponent of art & science field and also the chief editor of the Leonardo journal, which is the major publication focused on art & science cross-overs. What I recall from his talk is that he called for science laboratories to open up their doors to artists; he pointed out that science and technology research needs reflections on ethics, skills and approaches beyond engineering. With an impressive career in the sciences and long-term interests in art & science, Roger Malina has been a forerunner in envisioning exchange between the “two cultures” with his progressive opinions. In today’s cultural and political situation, one can also perceive these types of proposals as critiques of the increasing dependency of universities on rigid frameworks which are predefined by external funding bodies. There were just few Finnish people attending the Mutamorphosis-conference – I delivered a presentation of my artistic research, Anu Osva attended the conference, and similarly Ulla Taipale traveled from Spain to attend. Ulla Taipale had been also organizing two bioart focused events during 2006-07 in Spain. 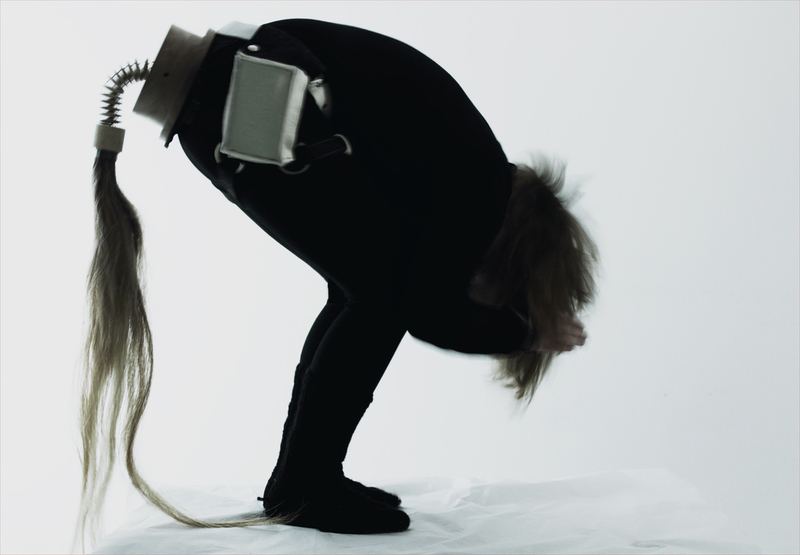 Thirdly, already in 2006, the main Finnish newspaper, Helsingin Sanomat, had published a series of articles by Jukka Yli-Lassila which were aimed toward a wide audience and introduced bioart and art & science practices with examples of national and international artists who have worked with living matter or addressed the intersection of art & science. These included e.g. Anu Osva, Eduardo Kac, Günther von Hagens, Saara Ekström and Antero Kare, among others. One should mention that Kare is one of the two Finnish pioneers who have greatly impacted the contemporary art & science scene. Antero Kare has been working artistically with bacteria since the 1980’s. The other pioneer is Erkki Kurenniemi, whose experiments and artistic works in the 1970’s and 80’s addressed technology’s impact on human life. One of the articles by Helsingin Sanomat mentioned Hannele Seitsonen (at the time Hannele Koivunen) and her fascination with bioart. At the time, Seitsonen was the Head of the Department for Art and Cultural Heritage within Ministry of Education in Finland. She had a strong interest in developing the field in Finland, especially with a focus on an Arctic perspective. Hannele Seitsonen had visited SymbioticA in Perth where Ionat Zurr and Oron Catts were working and developing their bioart practice. After the fateful phone call (in the fall 2007) between myself in Spain and Anu Osva in Finland, which concretely laid on the table the potentialities for an organization, Anu began calling people interested in art & science with the goal of finding support and interest for the developments what later became the Bioart Society. One of the first people she contacted was Hannele Seitsonen. After several meetings between Anu and Hannele Seitsonen, a more concrete plan for establishing the Society emerged. The founding meeting of the Finnish Bioart Society took place in May 2008 in Kilpisjärvi. Hannele Seitsonen supported to organize the meeting, which was made with an open invitation to artists, scientists and other interested individuals to take part. The 14 participants in the Kilpisjärvi-meeting became the founding members of the society. At that point, the director of the Kilpisjärvi Biological Station, Antero Järvinen, became a seminal figure in the establishment of the Finnish Bioart Society. During the same spring, a related event occurred, which evidences the wider interests and growing momentum for the field at the time. In April 2008 the Kiasma-museum in Helsinki organized a small-scale symposium titled Grassroots: Art & Ecology, in which e.g. Ulla Taipale was one of the presenters with a focus on bioart. Organizing people and defining aims. Anu Osva was chosen as the chair for the society and Juha Kotipelto as the secretary. After the Kilpisjärvi founding-meeting the chair handled the official registration as a society, established a draft for rules and drew up a plan for meetings among other smaller tasks. The Society’s first meeting was held in August 2008 in the Rikhardinkatu Library in the center of Helsinki, in which the first board members were chosen: scientist Antero Järvinen, cultural worker Juha Kotipelto, scientist Merja Markkula, theatre director Merja Talvela, organizer/curator Ulla Taipale, artist Laura Beloff (deputy), and artist Maria Huhmarniemi (deputy). This meeting drafted the focus and aims for the society, which were defined as follows: to establish art & science and bioart activities in Finland, including educational Ars Bioarctica program. It was also noted that the focus will be in the Arctic area as the Kilpisjärvi Biological Station and its laboratories were providing the possible space and tools for artistic work during the first years. Other focus points and issues that were noted down in the meeting were e.g. establishing connections to universities, establishing connections to scientists and sciences working especially with arctic waters, climate change and biology of snow and ice. The residency possibilities for artists in Kilpisjärvi were officially established next year during 2009. Interestingly, in the meeting minutes is also mentioned that when the Society’s activities have become established with funding, the program (Ars Bioarctica) will be considered to be made as an initiative within a University (not defined) and its facilities. This issue came up in the later phases of the Society’s development and is well-stored in our memory. But before we jump to that – there is one more important event to be told. Participants and guests in the ‘kota’ of the Kilpisjärvi Biological Station (Helsinki University) during 80+1 Kilpisjärvi-project 2009. The director of the station Antero Järvinen is standing in the center. It was very clear for the newly established board of the Society that people were excited and interested in establishing the field and activities in Finland. However, this was overshadowed by many uncertainty concerning funding to cover necessary daily work and projected activities. A very palpable memory I have from 2008-09 is connected to a conversation between myself and Anu Osva about funding possibilities for the Society. It was very clear for both of us, knowing the Finnish art scene, that one does not get any base-funding for an organization without first presenting concrete results as justification. I took it upon myself to start thinking about possible solutions for this dilemma. In early 2009 I noticed an international call for collaborators and locations, in which the Austrian Ars Electronica Center was looking for places and collaborators for their project titled 80+1, which focused on humanity’s future challenges. It occurred to me that Kilpisjärvi could be suggested as a collaborating location for them, this would help to legitimise the Society’s professionalism and activities in order to qualify for base-funding in Finland. I contacted the people at Ars Electronica and they showed an interest in our proposal. We proposed a plan for the Society’s contribution to the 80+1 project in an application to the Ars Electronica and later on also to Finnish funding bodies to cover parts of the expenses after Kilpisjärvi (and Bioart Society) was selected to represent the topic of climate change in the project led by the Ars Electronica Center in Linz. In addition to Anu and I, there were around 20 people contributing and helping with the Bioart Society’s part of the project both in Kilpisjärvi and in Linz. Among others e.g. Erich Berger worked with us intensively on the realization of the project at Kilpisjärvi and Antti Tenetz supported the video filming and streaming of the talks. 80+1 Kilpisjärvi was an ambitious program that included several projects; Water Flea Circus was a performance that was initiated by theatre director Merja Talvela and water flea scientist Iris Zellmer but had also many other artists working on it, Midnight Sun was a 10-day long networked art project: when the Central European sun set in Linz, the Kilpisjärvi midnight sun went up in real time on the media-facade of the Ars Electronica Center. The project was realized by Laura Beloff, Anu Osva and Erich Berger. As the core of the 80+1 Kilpisjärvi, we had organized a wide range of discussions, debates, statements from scientists and artists, and also a curated video program addressing our future and impacts of climate change, which went on over several days. All the various presentations and discussions were transmitted from Kilpisjärvi to Linz; they included e.g. several talks by climate scientists, biologists and limnologists: e.g. the director of the Kilpisjärvi Biological Station Antero Järvinen was presenting among other national and international scientists. There were also short statements presented by artists and other local stakeholders, such as reindeer herder Oula Valkeapää. The curated video program presented for example Agnes Denes’s Tree Mountain documentation, Ilkka Halso’s photographic works, Leena Valkepää’s video work, Tarja Trygg’s Solargraphy-works, and many others. One can say that the 80+1 Kilpisjärvi was a successful event, which enabled the Society in the following year, 2010, to obtain base-funding from the ministry and to hire the first half-time paid employee, Erich Berger, who became the daily leader of the Society. From this point on the Society’s development with longer-term vision and activities could start with an accelerating speed due to the funding for work. Until that point, all the work toward the establishment of the Society had been unpaid and voluntary. Insights, controversies, and loads of work. Before the Society reached its turning point, there were many complexities on the way, and also many intense meetings. I remember that there was never enough time allotted for the board meetings. We had many issues to decide and discuss – but I have no clear memory what these issues actually were. Antero Kare, who joined the board at a later point, offered a possibility to have board meetings in his atelier in Helsinki, which he was not using. This small detail was significant, as it made it possible to hold the meetings without a monetary fee. During these intense meetings and work sessions, the board also encountered occasional problems between members who had conflicting ideas about the Society, its function and direction – however, there was never a question as to whether the Society should continue, even if the discussions occasionally got heated. While the Society was gradually establishing itself, Hannele Seitsonen had been pushing the idea about a bioart laboratory as a facility for Aalto University. There was a moment around 2010-11 when it was made clear for the Society that it would be a good time to hand over the achieved status of Society, including the plans for the educational Ars Bioarctica program and other already completed (non-paid) work because the new bioart laboratory facility was starting to become reality in Aalto University. The board of the Society, nevertheless, didn’t agree with this suggestion and decided to continue its work and was rather happy about the potential addition to the Finnish scene. The Biofilia laboratory in the Aalto Arts was established with the support of Aalto visiting Professors Ionat Zurr and Oron Catts in 2012, and it has been collaborating with the Society in many projects and initiatives ever since. The board members of the Finnish Bioart Society shifted in the first years; according to Society’s rules the main members needed to change every few years. A few names stand out for me of people whom I remember well from their time as board members. Marjukka Korhonen was the chair of the board shortly during the first years. The Society benefitted from her experience; she was working as an art consultant for a company and also involved in various organizational art-related projects at the time. Leena Valkeapää became a board member at some point – during that time she also started working together with environmental scientist Maija Salemaa, who was also part of the board in the first years. Their collaboration led to an experiment concerning the survival of the plants in the north 2011-13. Leena Valkeapää brought art students from Aalto University in Helsinki to the north to Kilpisjärvi as a part of her course on environmental art. Later on, Leena Valkeapää was the local contact person for the artists in residence in Kilpisjärvi. Also, at a later point Antero Kare, as well as Antero Järvinen, became board members and Antti Tenetz became the chair of the board for several years. There were many other people involved in important discussions and events during the time – like already mentioned, these were just a few names from my subjective memory. Reflecting back to this time, one can ask what the key elements were, which created momentum for the Bioart Society in the Finnish context, which enabled it to proceed, to develop, to flourish and to become a successful project? There is no simple answer to this. It is conceivable that it was based on the context and the mix of people involved, who were in the right place at the right time – and willing to do a lot work for the shared initiative. However, there is one aspect worth pointing out, which is evident. From the beginning, the Society has focused in large part on the natural environment. This has been partly defined by the involvement of the Kilpisjärvi Biological Station, which primarily conducts research on the natural environment. But, when looking from a wider perspective, since the beginning of the 21st century there has been a growing interest and awareness in the art world towards environment and its problems – which has influenced the rapid development of bioart field and art & science approaches in general. In Finland, besides the initiatives of the Bioart Society, there were also few other projects and exhibitions focusing on the environment during these years, which can be considered to have had a role in development of Finnish bioart “gaining of strength by a series of events” – to reference the definition for momentum. Additionally, the traditional category of environmental art has had a stable status within the Finnish art education in the recent decades. In general, one can claim, that the natural environment as a subject matter and material for art has a strong long-term holding in the Finnish cultural context. Moreover, the rapid developments in science and technology during the recent decades are increasingly impacting our perception of the natural environment by offering novel possibilities that provoke questions about our relationship to it. One can argue that scientific and technology-based methods are today becoming the prominent way to perceive, domesticate and reconstruct nature. Following this line of thinking, it becomes obvious that the Bioart Society’s interests in crossing the division between art and science, as well as focus on biotechnological methods offer much needed critical insights into these developments. Art-related practices offer spaces of reflection to ponder over what these new possibilities and technologies mean to us. So, when looking back to the birth of the Bioart Society in Finland and considering it with a global perspective, it seems apparent that there was, and is, evolving momentum, which underpins the development of art & science field and the Bioart Society in the Finnish and the international context. Midnight Sun, 2009 – transferring the midnight sun from Kilpisjärvi Finland to Linz Austria in real-time. The author of this article, Laura Beloff, on the roof of the border control building between Finland and Norway filming the midnight sun. Seminal well-known events in history are e.g. E.A.T. in New York 1967 and Cybernetic Serenpidity exhibition in London 1968. In the first years I was both a debuty-member and a main member of the board. Later on I have been a long-term debuty member of the Society (until 2016); a situation that has been impacted by my living abroad. Since its beginning, the Society has had very inclusive policy and has made no difference in practice between the debuty and main members – except in legal issues regulated by the Society’s rules.